The FLAVIA barista is the first and only machine to craft perfect drinks, rivaling your local barista, all in under a minute. Truly Authentic Espressos and espresso based drinks, available for the workplace. 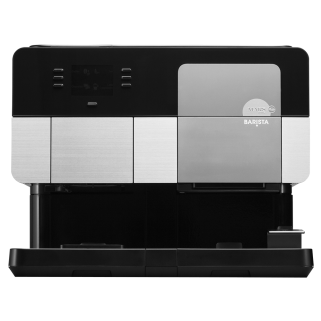 Whether you enjoy espressos, cappuccinos, lattes, mochas or americanos, the FLAVIA® barista delivers them all at the touch of a button. A 15 bar espresso with the body and crema you would expect from a truly authentic espresso, all at yoiur fingertips, created from one machine. If you’re more into your tea, the FLAVIA® barista simutaneously serves a nation of tea drinkers with all of THE BRIGHT TEA CO.’s range of real leaf black and green teas and herbal infusions. For the perfect espresso, the bean, the roast, the temperature and the pressue need to be perfected. Over tenty five years experience in coffee, and we have perfected formula for the perfect espresso based drink. Expertly brewed, every time.